Thank you Michael for your review, we are very appreciative of your kind words. What a delight it was to work on your home, we also were very pleased with the end result and the photos say a 1,000 words. Thank you for choosing our family business. 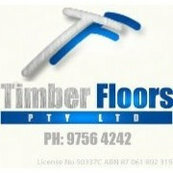 We were looking to replace the carpet, with timber flooring. Thank you for the review Elizabeth. If we can assist you in the future please do not hesitate to contact us.